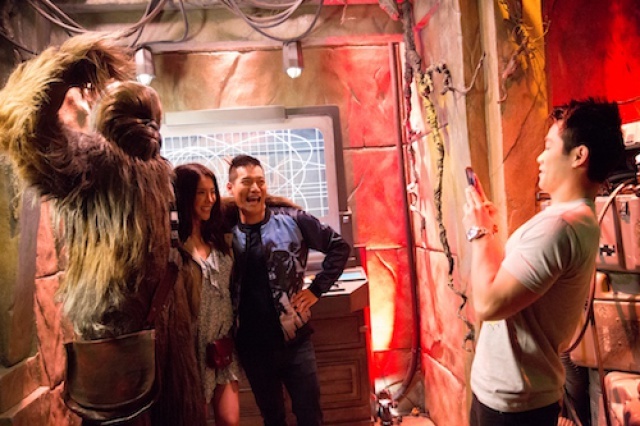 Dans le cadre de l'enrichissement de la présence Star Wars à Tomorrowland, il sera bientôt possible d'y rencontrer Chewbacca ! 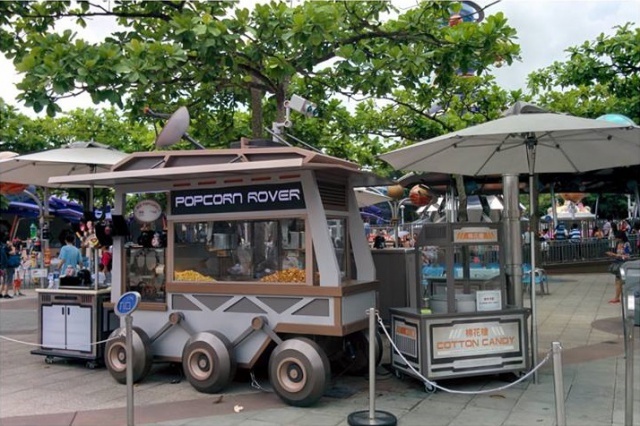 Le nouveau Meet & Greet ouvrira le 11 juin prochain, date qui marquera le début de la nouvelle saison estivale sur le thème Star Wars : “STAR WARS™ : Tomorrowland Takeover". 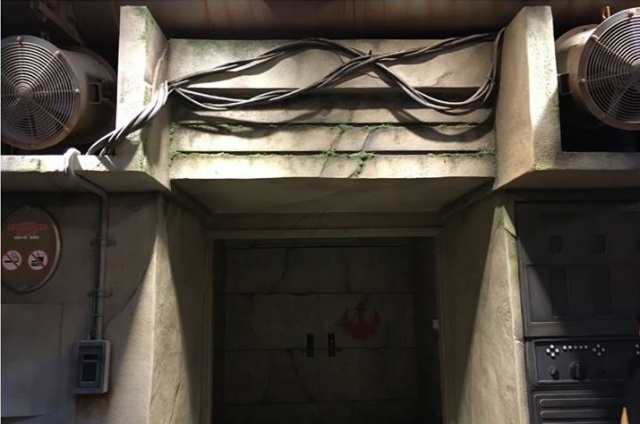 Les plus jeunes pourront également se mesurer à Dark Vador, Kylo Ren et la Septième Sœur en participant à "Jedi Training : Trials Of The Temple". 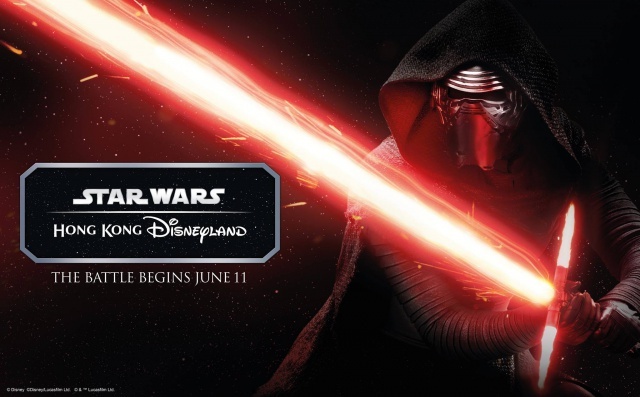 This Summer, get ready to join the battle as Star Wars™ comes to Hong Kong Disneyland ! 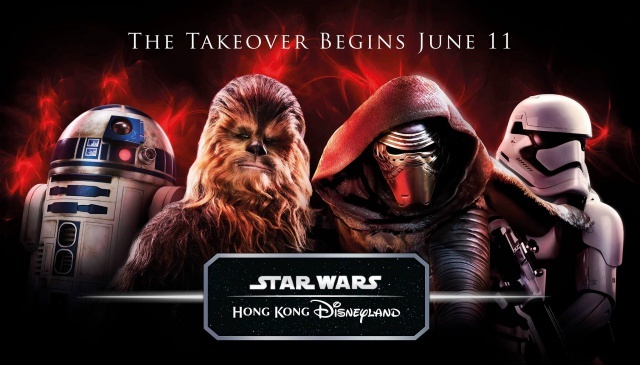 Hong Kong Disneyland celebrates Star Wars with “Star Wars™: Tomorrowland Takeover” this summer starting on June 11. 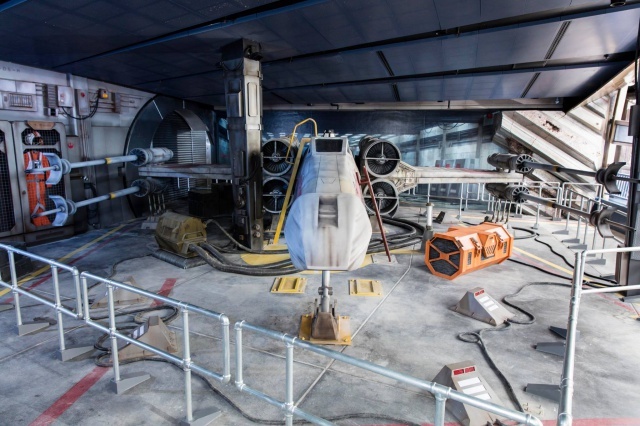 Guests will experience iconic moments and special encounters with popular Star Wars characters in Tomorrowland. With new experiences across the land, guests will be whisked into the middle of a thrilling dogfight in outer space, meet their favorite heroes from the movies, and face off against the Dark Side. 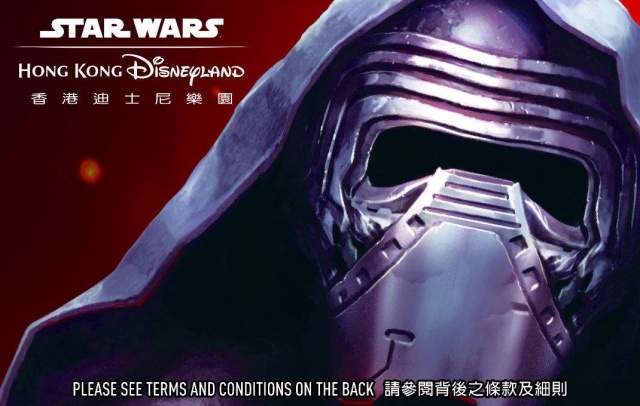 Gear up for the battle between the forces of light and dark, and get ready for a Star Wars celebration coming soon to Hong Kong Disneyland. May the Force be with you! 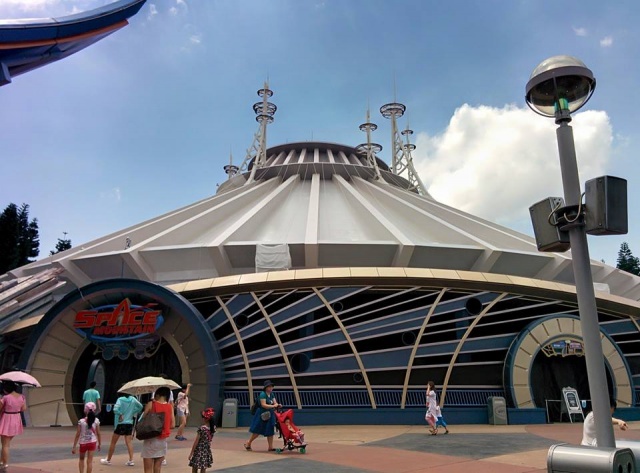 Guests can rocket into the middle of a raging Star Wars battle between X-wing Starfighters and TIE fighters at Hyperspace Mountain, reimagined from Tomorrowland’s most popular attraction, Space Mountain. 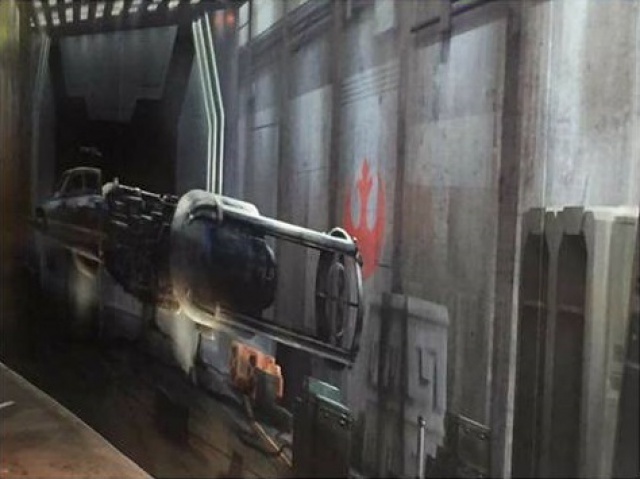 Young recruits can test their lightsaber skills against villains such as Darth Vader, the Seventh Sister Inquisitor and Kylo Ren in Jedi Training: Trials of the Temple. 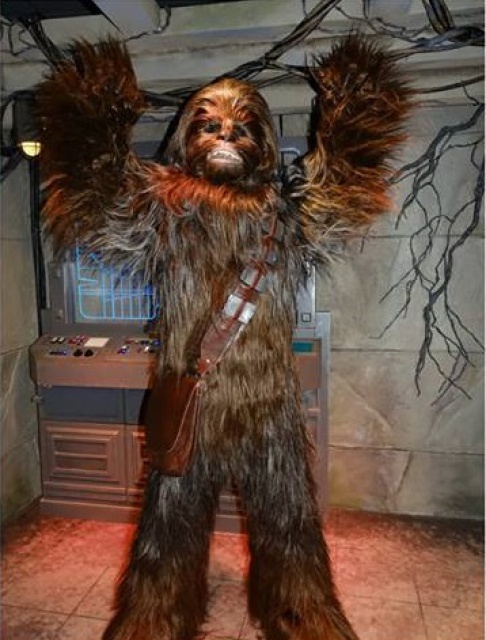 Guests can join the Resistance and encounter Chewbacca in his hidden base – Star Wars: Command Post. 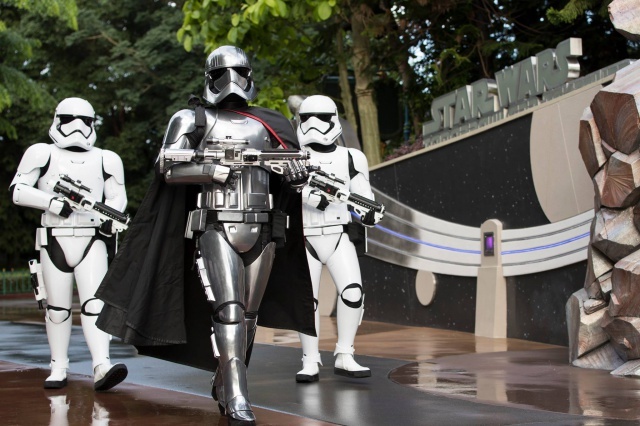 The First Order Patrol, featuring Captain Phasma and Stormtroopers, will interact with guests as they explore Tomorrowland. 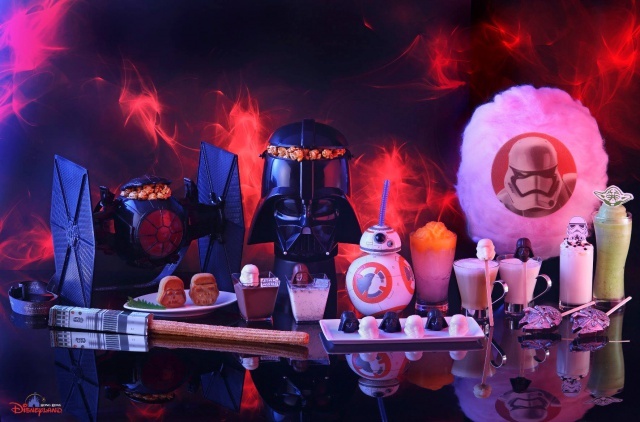 At “Star Wars™: Tomorrowland Takeover”, guests can refuel with an extensive variety of Star Wars-themed food and beverage, including Star Wars Wonton Noodle Soup Combo, Millennium Falcon Fried Rice, Darth Vader Burger Combo and Star Wars Sundae Cone. 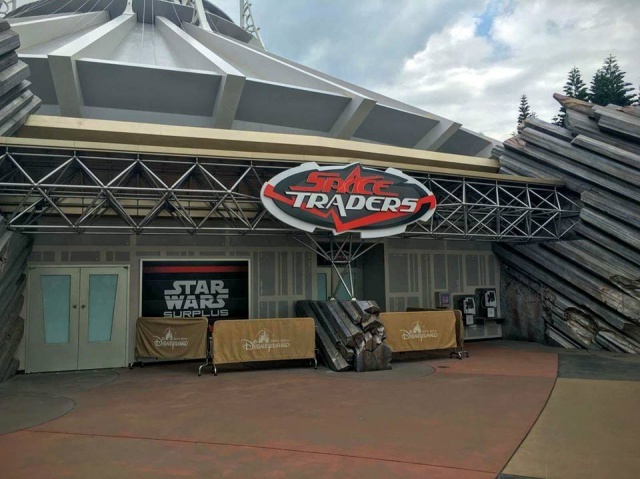 Space Traders boasts a collection of over 230 Star Wars merchandise items including all-new Star Wars Tsum Tsums, high-end collectibles, droids, and a chance to build your own lightsaber. 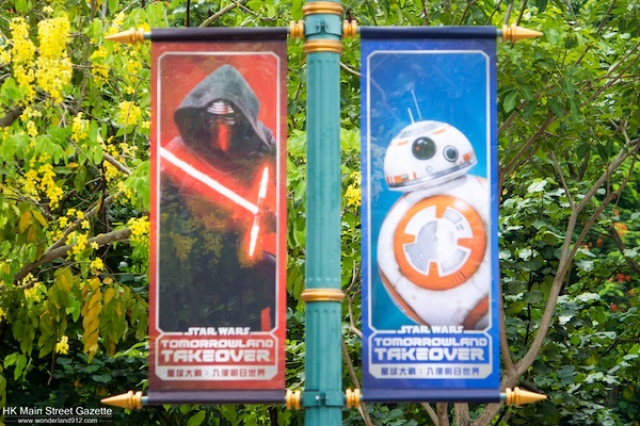 Even the park admission tickets for the “Star Wars™: Tomorrowland Takeover”, featuring iconic Star Wars character, make for sentimental keepsakes for the Star Wars experience this summer. The celebration isn’t limited to the park. 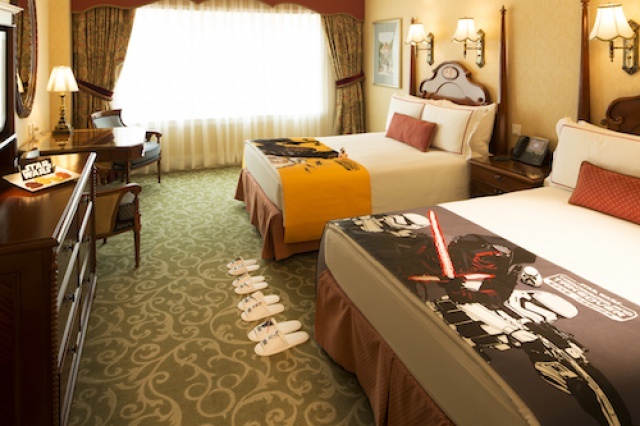 Starting this summer, guests staying at Hong Kong Disneyland Hotel or Disney’s Hollywood Hotel can enjoy a Star Wars themed room decoration package. 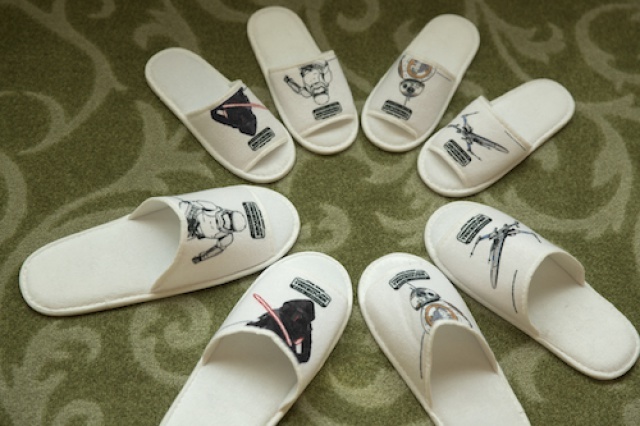 The package includes an exclusive Star Wars door sticker, slippers, bed runner and a cookies set. Hong Kong Disneyland resort - 4 mai 2016. Hong Kong Disneyland Resort lance une nouvelle promotion à l'attention des membres Magic Access, ceux-ci peuvent bénéficier jusqu'au 30 juin 2016 de réductions de 30 ou 40 % sur certaines chambres et suites du Hong Kong Disneyland Hotel et du Disney's Hollywood Hotel. Cela a déjà commencé le mois dernier avec une réduction de 50 % sur certaines chambres des deux hôtels du resort accordée aux habitants de Hong Kong sur base de leur carte d'identité issue par la région de Hong Kong (voir page précédente) ! 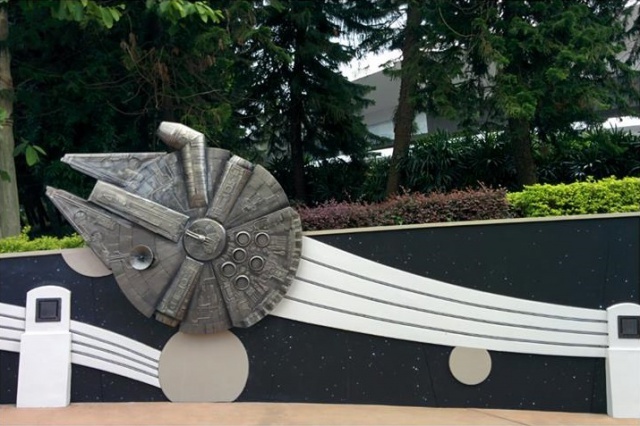 “Star Wars™ : Tomorrowland Takeover” sera présenté en avant-première aux médias et aux membres Magic Access (passeport annuel) par Kelly Willis (Director of Creative Development, Walt Disney Imagineering Hong Kong Disneyland Resort) le 1er juin prochain. 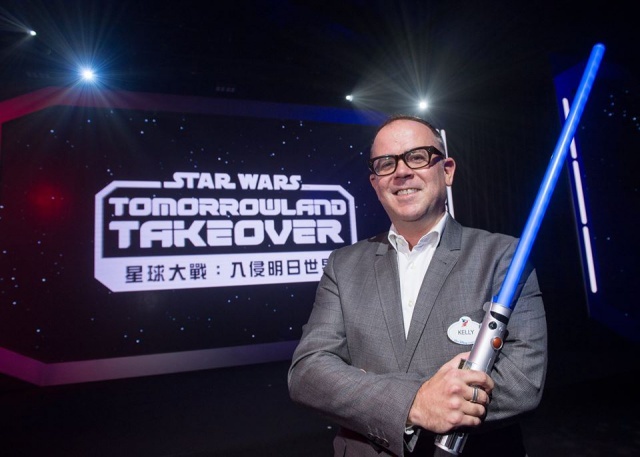 La présentation officielle de “Star Wars™ : Tomorrowland Takeover” a donc eu lieu aujourd'hui à Hong Kong Disneyland. Début dans dix jours ! 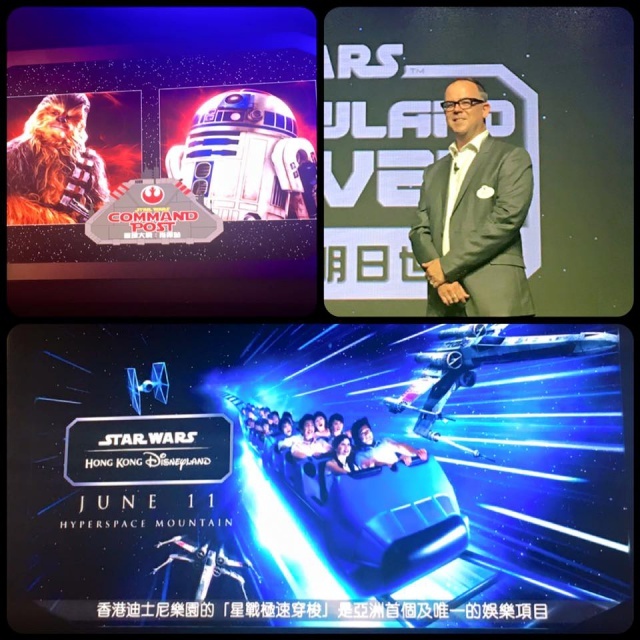 Our Director, Creative Development and Show Quality, Walt Disney Imagineering Mr. Kelly Willis unveiled the brand new attractions, including Hyperspace Mountain, Star Wars: Command Post and Jedi Training: Trials of the Temple! 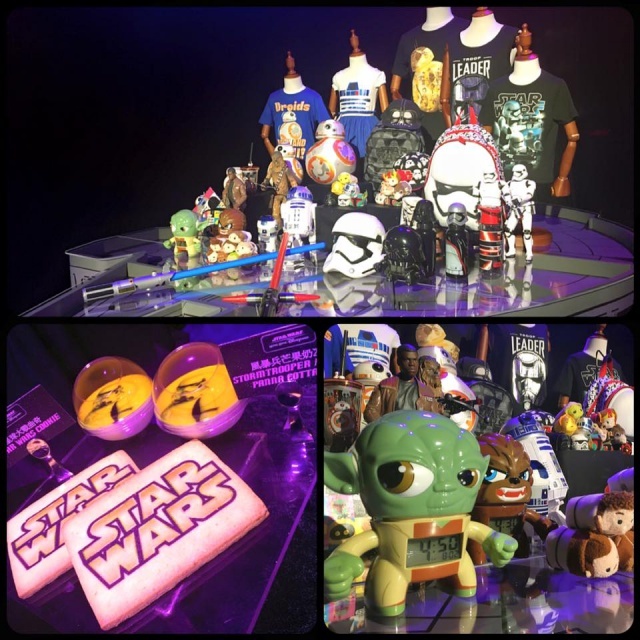 The galaxy far, far away is closer than ever – May the Force be With You! - Hong Kong Disneyland Resort, le 1er juin 2016. 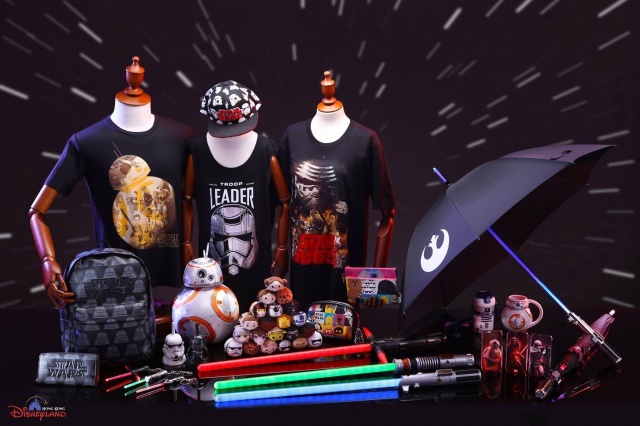 Hong Kong Disneyland is celebrating all things Star Wars this summer! 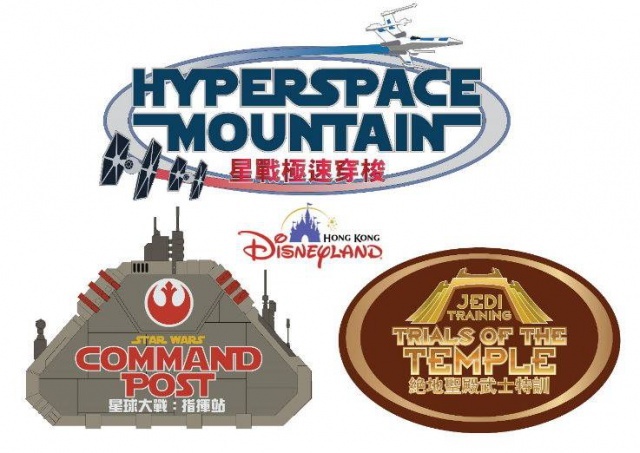 “Star Wars: Tomorrowland Takeover” will officially kick off at Hong Kong Disneyland in just 10 days on June 11, with brand-new offerings like Hyperspace Mountain, Star Wars: Command Post and Jedi Training: Trials of the Temple as they deliver a Star Wars experience of galactic proportions. 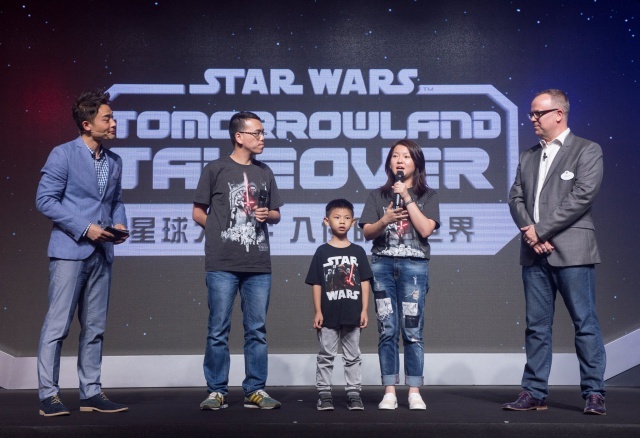 Today, 60 Star Wars fans joined an exclusive sneak peek event to celebrate “Star Wars: Tomorrowland Takeover.” They were all thrilled to be among the first to learn creative details about the park’s brand new entertainment offerings. 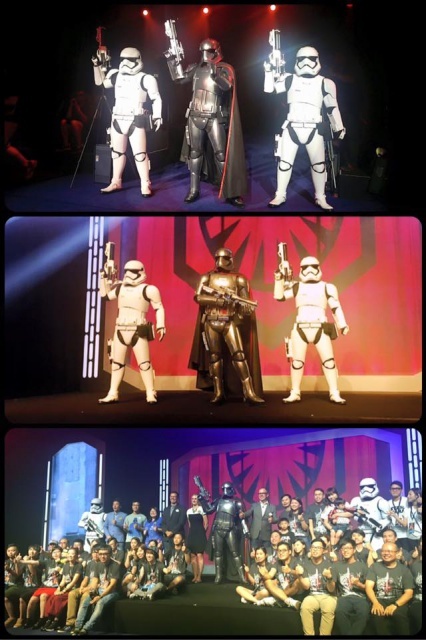 Star Wars fans are looking forward to the immersive Star Wars experience and the chance to dive right into the actions of the galactic confrontation between the light and the dark side. 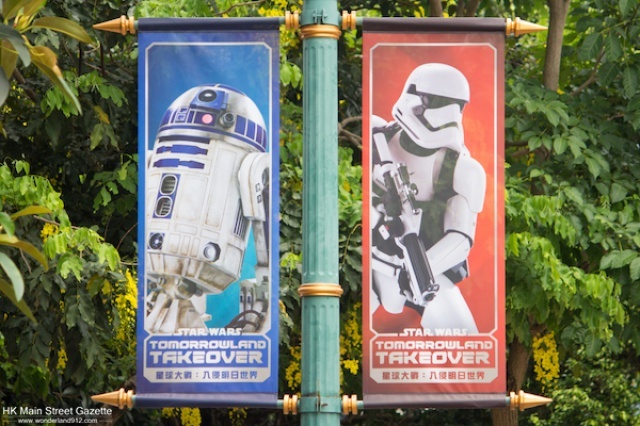 “’Star Wars: Tomorrowland Takeover’ is a brand new experience that can only be seen in Hong Kong Disneyland. 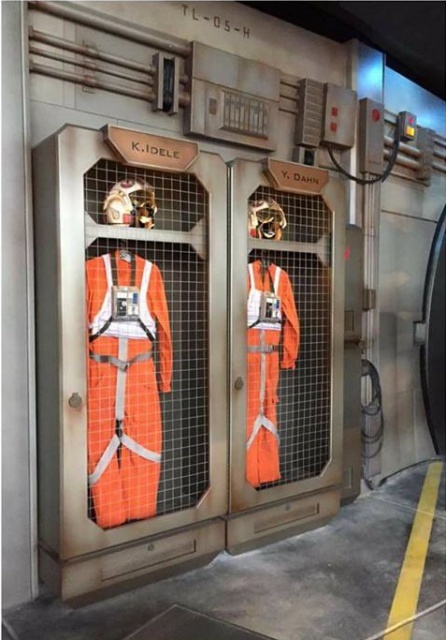 Guests will have an opportunity to become a Rebel fighter pilot, hero of the Resistance or Jedi Knight,” said Kelly Willis, director, Creative Development, Walt Disney Imagineering, Hong Kong Disneyland Resort. 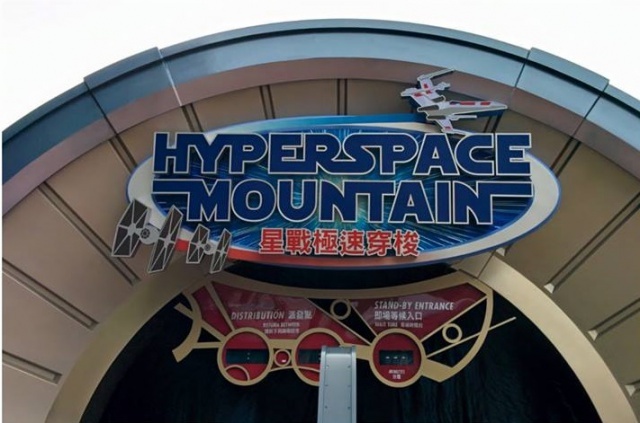 As guests enter Hyperspace Mountain, completely reimagined from Tomorrowland’s classic attraction Space Mountain, they will walk past a gigantic life-size X-wing starfighters, flight suits and pilot helmets on their way to try their skill as a rebel pilot. After a mission briefing from Admiral Ackbar, they will prepare to fly to outer space on a reconnaissance mission to survey an Imperial Star Destroyer spotted near desert planet Jakku – a desert planet featured in “Star Wars: The Force Awakens”, which turns out to be a trap. 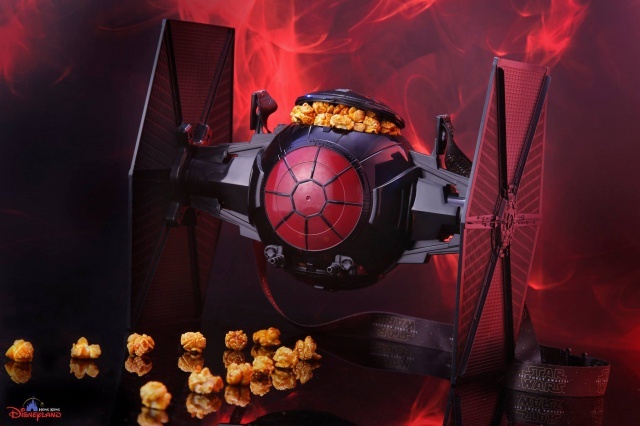 Riders will thrill to the experience of an epic dogfight between Imperial TIE fighters and Rebel X-wing starfighters. 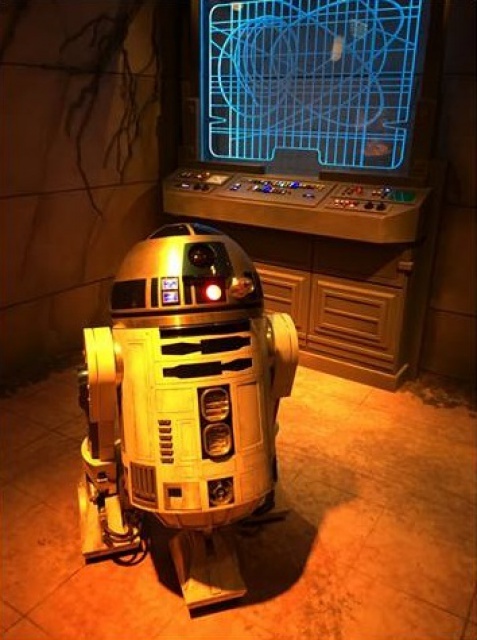 Guests can journey to a hidden Resistance base, the Star Wars: Command Post, to meet legendary Wookiee warrior Chewbacca and resourceful astromech droid R2-D2. 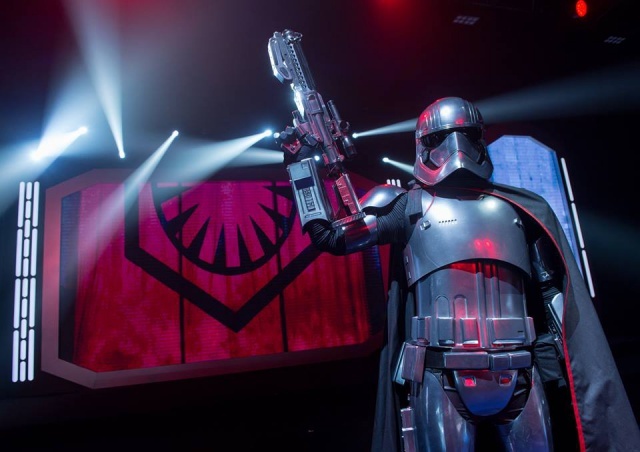 Look out for Captain Phasma who will lead a team of her Stormtroopers on a First Order patrol in Tomorrowland, searching for any signs of the Resistance. 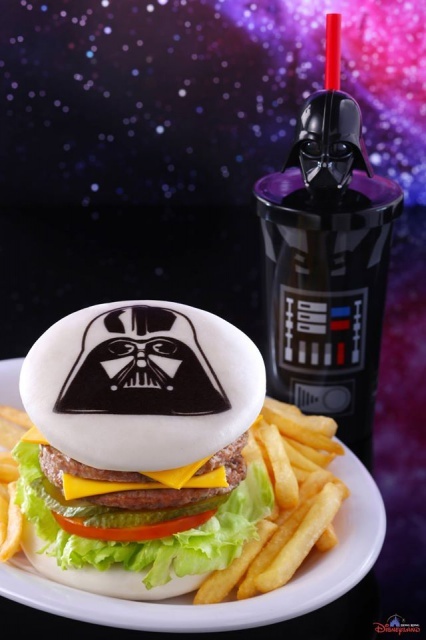 At “Star Wars: Tomorrowland Takeover,” guests can refuel with an extensive range of 60 Star Wars-themed food and beverage options, including Star Wars Lightsaber Churro, Darth Vader Burger Combo, Star Wars Cotton Candy or BB-8 Slush. 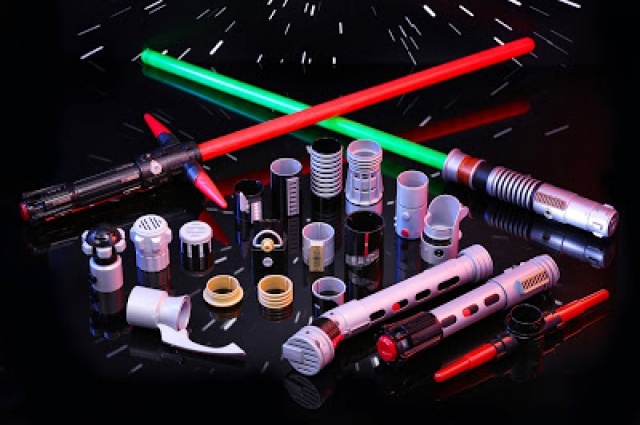 Shops including Space Traders boast a collection of over 230 Star Wars merchandise items, including all-new Star Wars Tsum Tsums, high-end collectibles, droids and guests will have a chance to build their own lightsabers from a selection of 20 components. 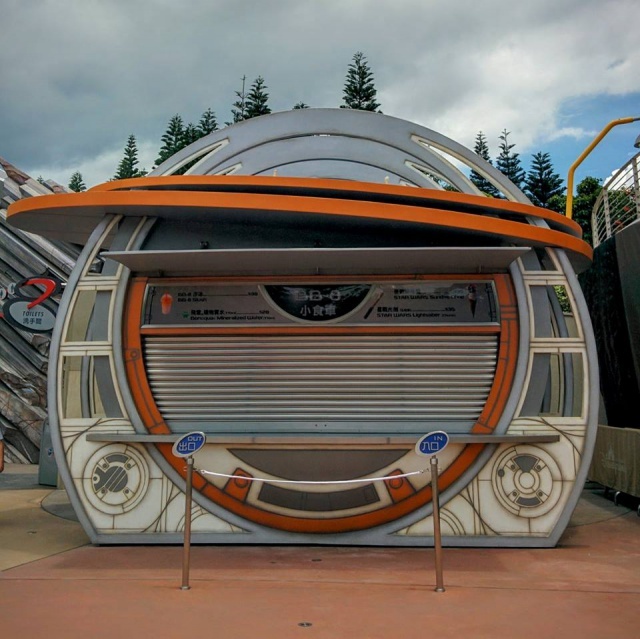 Even the park admission tickets feature iconic Star Wars characters, making them sentimental keepsakes for guests enjoying the “Star Wars: Tomorrowland Takeover” experience this summer. The celebration isn’t limited to the park. 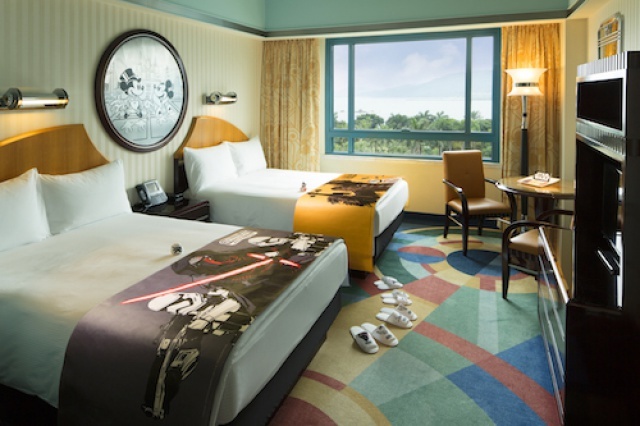 Starting from June 11, guests staying at Hong Kong Disneyland Hotel or Disney’s Hollywood Hotel can enjoy a Star Wars-themed room decoration package with a choice of the light side or the dark side*. 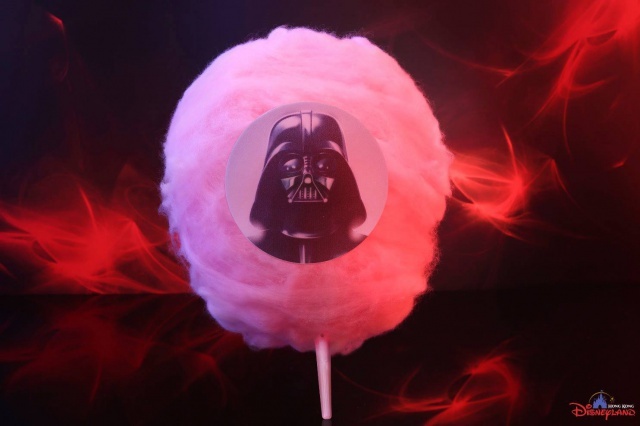 The package includes an exclusive Star Wars door sticker, slippers, bed-runner and a galactic cookies set. 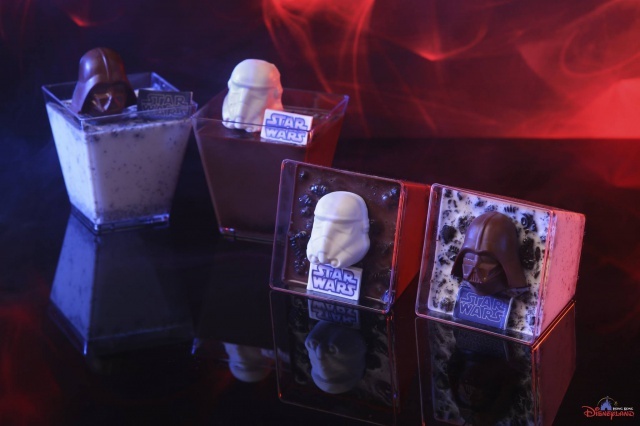 From June 25 till September 30, hotel guests can also enjoy an exclusive Star Wars package# with lots of great experiences. 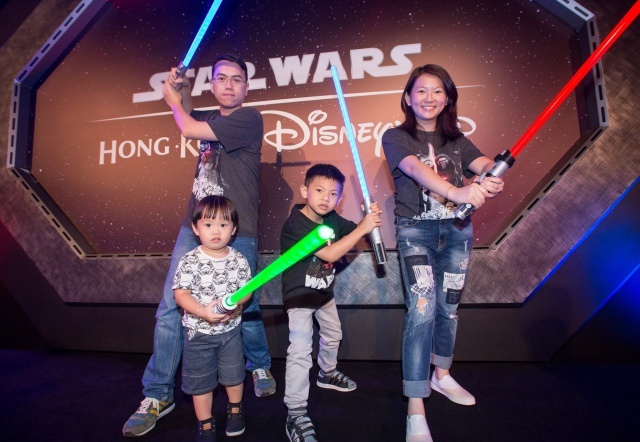 Young guests can pick their choice of Star Wars costumes, enjoy early enrollment for the Jedi Training: Trials of the Temple, build their own lightsaber before facing off against Star Wars villains and get a taste for the dark side of the Force with a Star Wars combo meal. 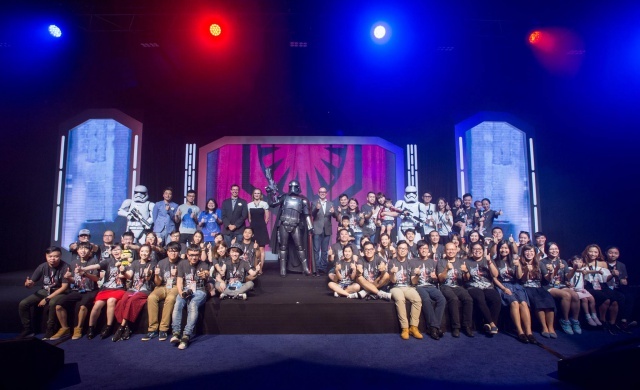 Guests won’t want to miss the Star Wars-inspired recreation activity at the Hong Kong Disneyland Hotel. A new mobile app is ready for guests to keep posted on all the excitement at Hong Kong Disneyland, from opening hours to entertainment schedules. Use the GPS-enabled map to find your way around the park, or make reservations for park restaurants with one-tap calling. Magic Access members can also conveniently view blockout calendars and membership privileges with the app, designed to make your visit to the theme park more magical. 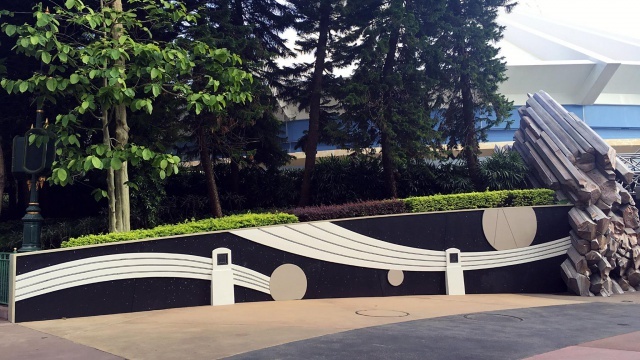 Hong Kong Disneyland Resort - 1er juin 2016. It’s the launching ceremony of “Star Wars™: Tomorrowland Takeover” and “the New Corporate Alliance Officiating Ceremony Between Hong Kong Disneyland Resort and Standard Chartered Bank” today, and we are so glad to have Financial Secretary The Honorable John Tsang, Gregory So, Secretary for Commerce and Economic Development, other tourism industry representatives, and Benjamin Hung, Regional Chief Executive Officer, Greater China and North Asia of Standard Chartered and Sammi Cheng as Manager Cheng, to attend the ceremony. 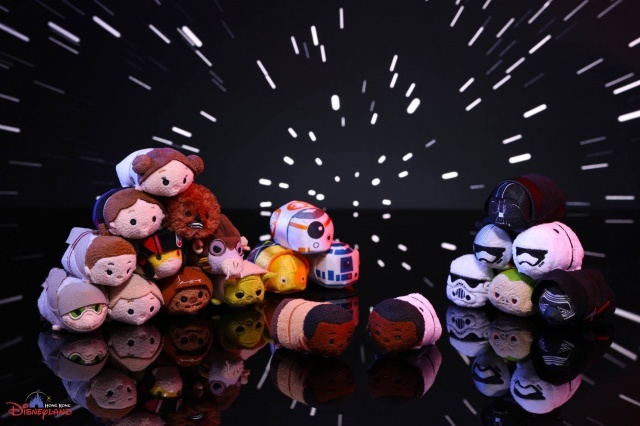 Let's take us to the frontline of all things Star Wars! 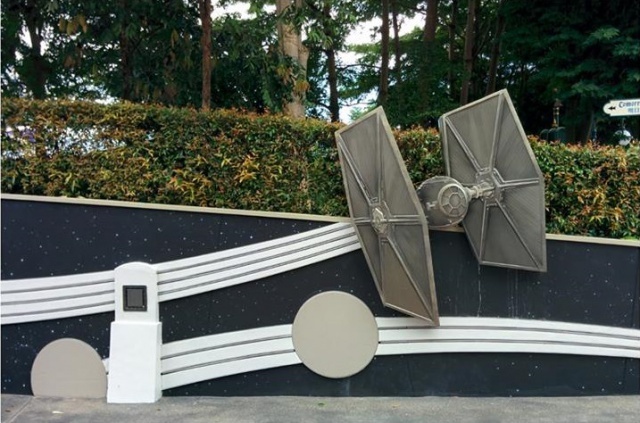 Come feel the Force at Hong Kong Disneyland! - Hong Kong Disneyland Resort, 10 juin 2016. 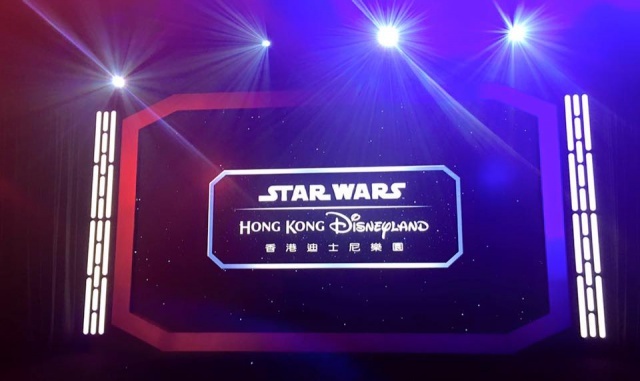 Et c'est parti pour un été résolument Star Wars à Hong Kong Disneyland ! La décoration est au top, bel effort de la part du resort. Mais en revanche, que fait ce poteaux en plein milieux? ça enlève toute crédibilité dans ce hangar. 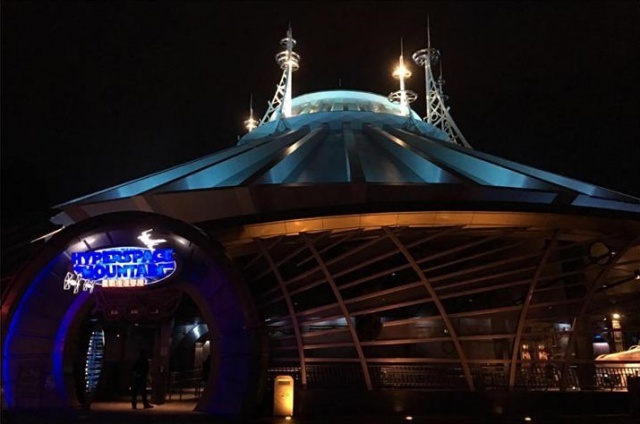 Franchement belle déco, c'est ce qui manque à la saison de Californie de vraie props dans la file de Hyperspace Mountain qui n'a que le pré-show de changé. Si ils pouvaient mettre le X-Wing quelque-part où au moins les tenues de pilote ça serait déjà un grand plus. Franchement c'est fort . On dirais une scène de l'update de notre tram tour mais chez eux ,c'est juste un décor !!! 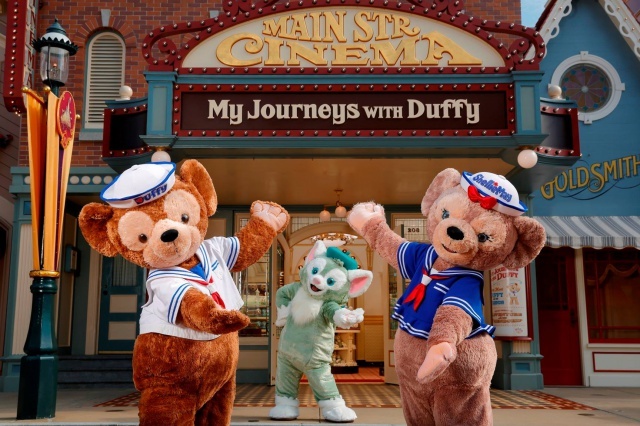 Hong Kong Disneyland Resort and Standard Chartered Bank today celebrate its 10-year relationship and together announce the renewal of the long-standing alliance in an officiating ceremony held at Hong Kong Disneyland Resort. Standard Chartered Bank will continue to be the official bank sponsor of the resort, and the renewal opens a new chapter for the alliance, enhancing the clients’ privileges not only in Hong Kong but also in six other markets across Standard Chartered’s footprint in Asia. 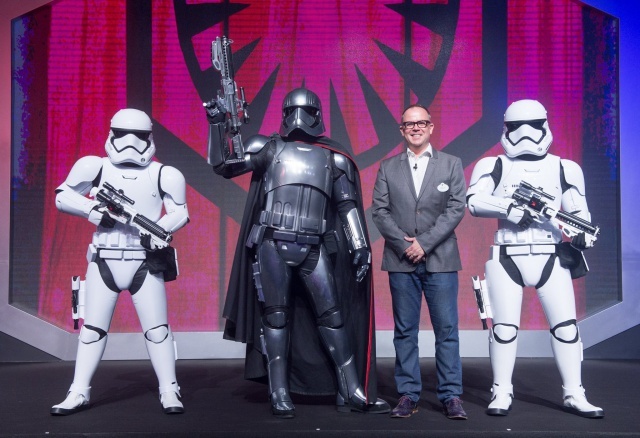 Standard Chartered Bank and Hong Kong Disneyland Resort have had a long-standing relationship. 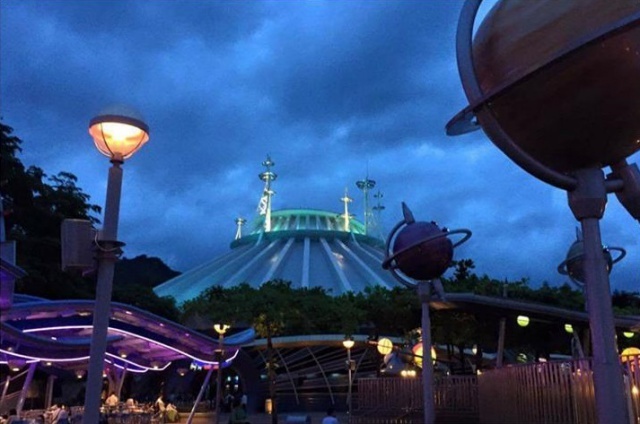 Since the theme park’s opening in 2005, Standard Chartered Bank has been providing premier banking services for Hong Kong Disneyland Resort, including corporate banking services, payroll services and ATM service. The close relationship between the two parties has also enabled Standard Chartered Bank to launch the highly popular “My Dream Account” promotions to encourage saving habits among young adults and families with kids from a young age. 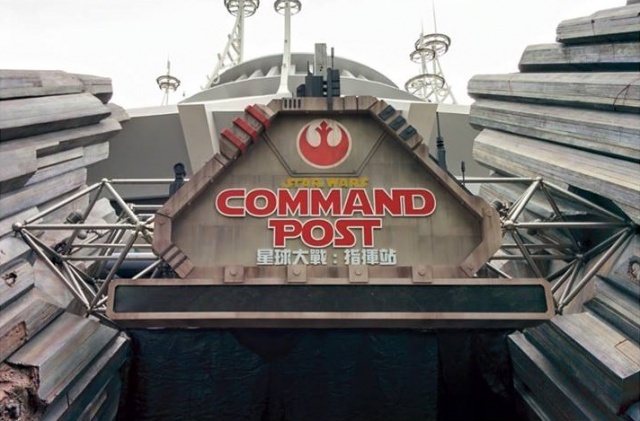 With the opening of “Star Wars™: Tomorrowland Takeover” in Hong Kong Disneyland Resort, Standard Chartered Priority Banking clients will be able to enjoy priority access to Star Wars: Command Post where they will be able to greet Star Wars heroes by making online reservations or registering on-site at Space Traders in Tomorrowland. Standard Chartered credit cardholders can also enjoy 25% off upon purchase of four park tickets starting from mid-July to mid-September. The bank will continue working with Hong Kong Disneyland Resort to provide special park offers to clients from local and regional markets. 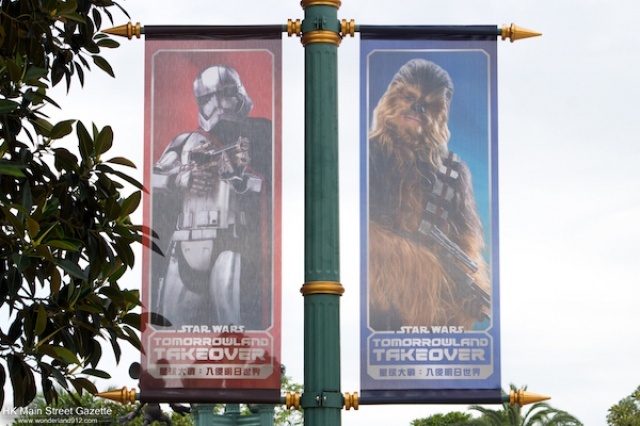 From June 11, “Star Wars: Tomorrowland Takeover” will introduce a series of unique Star Wars experiences including Hyperspace Mountain, Star Wars: Command Post and the upcoming Jedi Training: Trials of the Temple. 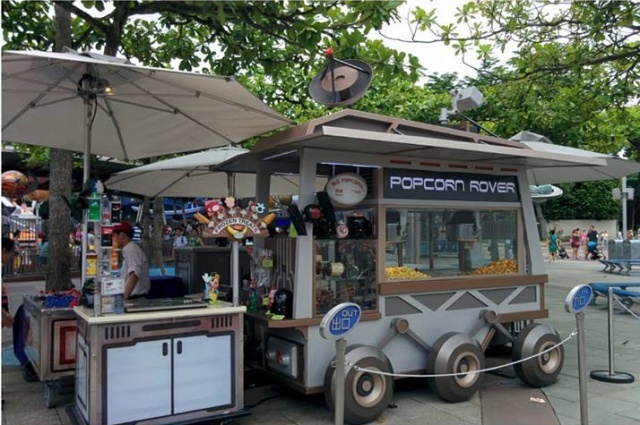 Halloween at Hong Kong Disneyland Resort this fall promises guests a different side of Disney. Villains from the classic Disney stories will use their dark magic to create a one-of-a-kind nighttime spectacular, creating a nefarious celebration designed to appeal to young adults. The much-anticipated “Iron Man Experience”, due to open in late 2016 in Tomorrowland’s new Marvel-themed area, will take guests soaring into the Hong Kong sky with Iron Man in the first Marvel ride-through attraction at a Disney park. 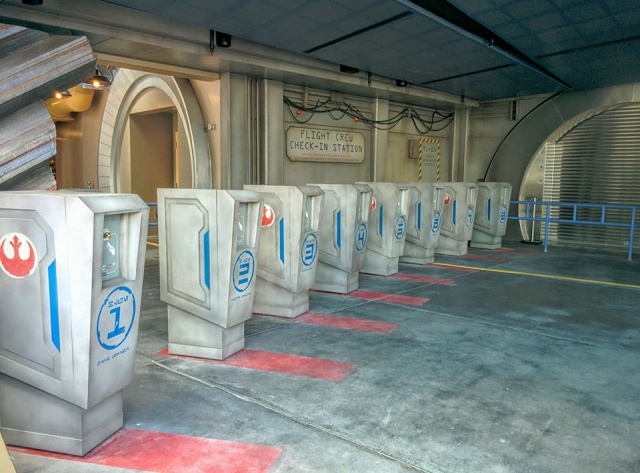 Guests can attend Stark Expo and sit in the Iron-Wing to battle the invading Hydra forces. They can also suit up and become Iron Man in the interactive “Become Iron Man” experience, and also meet Iron Man in person in an immersive story-driven character greeting. The all-new resort hotel, Disney Explorers Lodge, will open in 2017 with 750 rooms and four themed gardens of different cultures, letting guests explore and immerse themselves in an exotic world. Honh Kong Disneyland Resort - 10 juin 2016. Ils sont trés fort niveau décors pour leur différentes saisons ,c'est toujours du haut niveau . 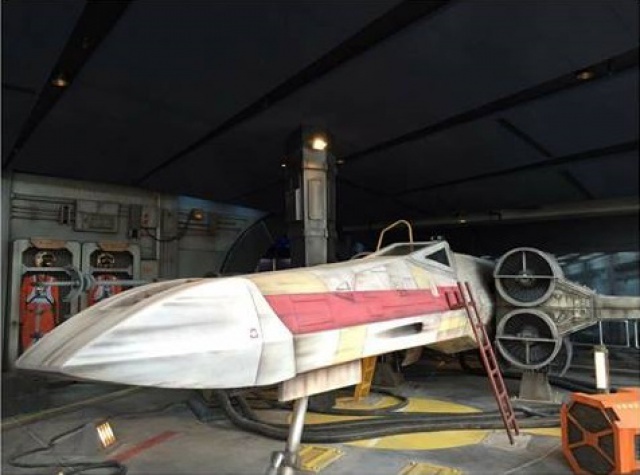 Leur décor avec le X Wing n'aurait pas à rougir dans une scène de notre Tram tour sauf que chez eux ,c'est temporaire pour décorer la saison . Et niveau déo, nos saisons de Noël Halloween et du printemps n'ont rien de cheap jusqu'à preuve du contraire. Et on a quand même de loin jusqu'ici la meilleure version de la Jedi Academy côté décors. Cette façon de toujours tout comparer lorsqu'il n'y a rien à comparer c'est fatigant. De 1 ,je n'ai pas dit que nos décos de saisons étaient Cheap ,de 2 permet moi de te rappeler pour l'update de Tram tour qu'on rigole un peu !!! Et de 3 puisque tu parles de ça ,moi ,je n'ai en rien comparé leur "Jedï Academy a la notre mais bon ,passons.... Leur "Jedï Academy " fait partie d'une offre temporaire dans un lieu non adapté pour ,la ,ou chez nous ,c'est dans un espace existant en dur avec toute les infrastructures pour alors oui ,encore heureux que ça soit un poil plus ambitieux !!! Eh bien oui, parlons en de l'update de STT, puisque c'est à ça que tu faisais référence. Quelles infos fiables tu as dessus ? Aucune, zéro, nada. Ni moi, ni toi ne savons ce qu'il nous réserve, si ce sera bien ou nul, donc ta réflexion était bien gratuite - comme dans 80% de tes interventions - puisque basée sur du vent. Pour le reste, je me ravis de ce takeover de leur Tomorrowland, mais il faut rappeler que leur parc, dont la fréquentation, déjà bien maigre, est en train de s'effondrer, en a vraiment besoin pour sauver sa saison d'été alors que Iron Man n'ouvrira pas avant la fin de l'année. ça remet un peu les choses en perspective ? 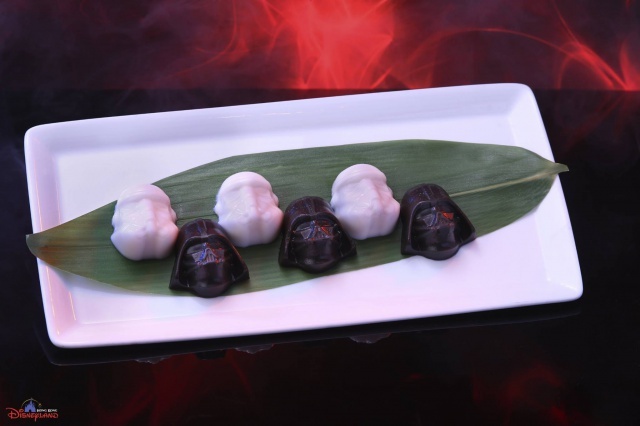 Le parc fait face à une période plutôt calme en ce moment, la direction du resort lance dès lors une nouvelle action à l'attention des résidents hongkongais avec un forfait nommé "Star Wars Group Adventures Ticket Package" pour groupes de trois ou quatre visiteurs. Ces forfaits procurent jusqu'au 15 juillet prochain une réduction de 19 et 25 % par rapport au prix du billet d'entrée individuel. Une campagne d'affichage centrée sur la saison estivale "Star Wars™ : Tomorrowland Takeover" a également débuté en ville. 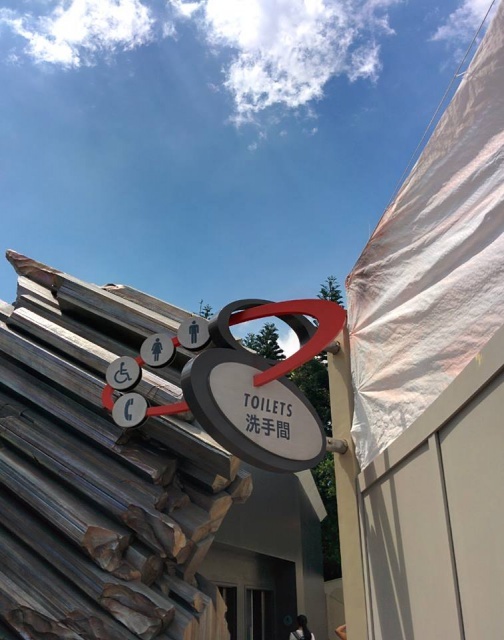 Shanghai Disneyland vient d'ouvrir ? 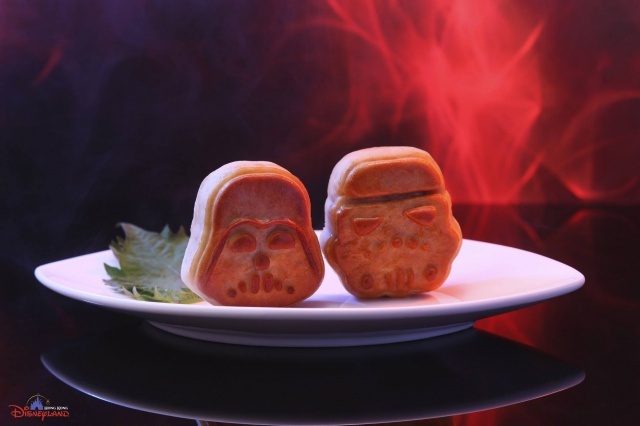 Profitons-en pour visiter Hong Kong Disneyland ! 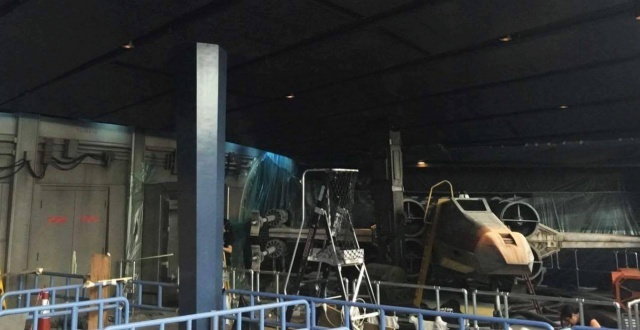 Main Street and the signature space in front of the castle at Hong Kong Disneyland were deserted on Thursday morning – not due to a lack of visitors, but because of unwelcome downpours. Compared to the rainy debut of its Shanghai counterpart, which saw hundreds of visitors queuing up five hours ahead of the 10.30am official opening, the city’s park did not fare badly. When the Post visited the Lantau attraction on Thursday morning, the wait for a ticket was about 15 minutes. Native Hongkonger and die-hard fan Wan Lee-chi, 77, who has visited Hong Kong Disneyland with his wife “at least 30 times a year since it opened”, said he preferred the city’s park over other such attractions around the world. “I’ve been to Disneyland in Japan and the United States, but Hong Kong is better because it’s more concentrated. That means my wife and I can get around it in a day,” he said. Wan has not been to Shanghai Disneyland, but said he believed the local theme park had not lost its competitive edge. “People from the Guangdong region will visit Hong Kong Disneyland, and the long queues in Shanghai aren’t good for old people,” he said. Fellow visitor Michelle Young, 39, who was there with her three children, was originally from Florida but currently resides in Japan. Young said she would definitely be back, even though this was already her third visit. She also expressed a strong interest in visiting Shanghai’s Disneyland, though the long queue times worried her. Young said she felt the new park would not be a problem for Hong Kong as “people who love Disneyland would go to all Disneys”. Secretary for Commerce and Economic Development Greg So Kam-leung played down head-on competition between the two Disneylands, saying they were different in terms of positioning and features. He said the theme park in Hong Kong catered more to international travellers whereas the one in Shanghai targeted mainland visitors. 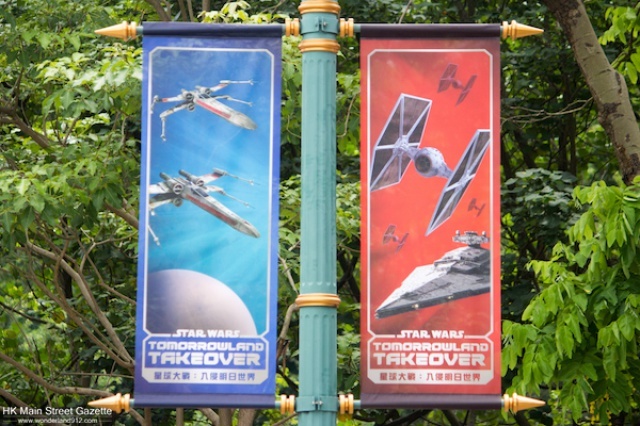 So added that the government and Hong Kong Disneyland were in discussions for further expansion, while new features such as Marvel and Iron Man themed areas would be rolled out later this year. The luxurious 750-room Disney Explorers Lodge, the theme park’s third hotel, is set to receive guests from early next year. So said the government would beef up promotion of Hong Kong as a top destination for Southeast Asian travellers and activities. He added that the Wine and Dine festival scheduled in autumn would be 40 per cent bigger than last year’s, and the city would host sports activities such as the Cyclothon in September and the Formula E race in October to attract tourists. Hong Kong Disneyland organise le second weekend de septembre sa première manifestation sportive de course à pied à travers le parc et ses environs. Plusieurs courses sont programmées pour cette première édition : 100/200 mètres pour les enfants (samedi 10 et dimanche 11 septembre), 3 kilomètres pour les familles (samedi 10 et dimanche 11 septembre), 5 kilomètres (samedi 10 septembre) et 10 kilomètres (dimanche 11 septembre). Relevons que les parcours des courses de 5 et 10 kilomètres emmèneront les participants à travers les sept lands du parc ! L'événement est co-organisé avec l'Association Athlétique Amateur de Hong Kong (HKAAA). Les participants inscrits peuvent bénéficier d'une réduction allant jusqu'à 40 % sur le logement dans les deux hôtels du resort pour les nuits du 8 au 11 septembre. Main Street Cinema : My Journeys with Duffy, la nouvelle boutique dédiée à Duffy, ShellieMay et Gelatoni ouvrira officiellement demain vendredi 8 juillet 2016. Les trois personnages accueilleront leurs fans et prendront la pose avec eux dans un espace photo prévu à cet effet au sein même de la nouvelle boutique ! 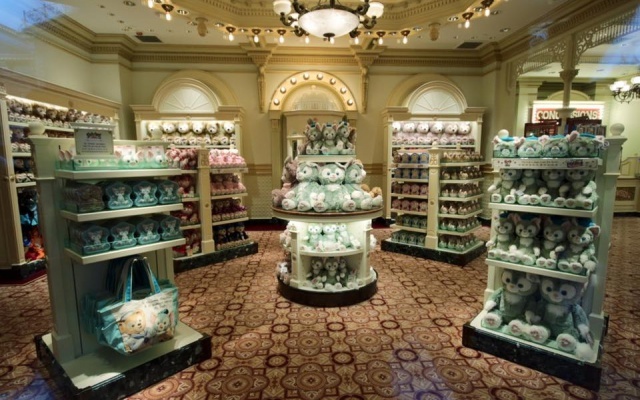 Tiens, Gelatoni arrive à Hong Kong Disneyland, alors qu'il n'a pas de Meet'n'Greet à Tokyo, puisqu'il est uniquement visible sur le show des 15 ans de Disney Sea. Intéressant comme news !